Go well prepared with a good Amsterdam City Map. The city of Amsterdam is shaped like a big U by its canals and around the Old Centre with the Central Train Station as the eye. The streets are small and curved and although the city center isn't that large, it is easy to get lost and it can be difficult to find your hotel back. So, our advice for all tourists is, to buy a small, practical street map, so you will feel more at ease. If you own a smartphone, you can also buy the practical maps and apps to download on your device. For just a few bucks, you will have a wealth of information and maps. A good Amsterdam city map also has information about the tram lines "streetcars" and metro line. These are very handy and not too difficult to navigate. We are here to help your stay in Amsterdam become a success and therefore we will help you find the best and most detailed street map of Amsterdam. The street map of Amsterdam from Streetwise is practical, small, laminated and contains the bus, metro and tram lines of Amsterdam. A must have if you go to Amsterdam. Own a mobile device with Android platform? Get this App from the Amazon Appstore and have Amsterdam in your pocket! 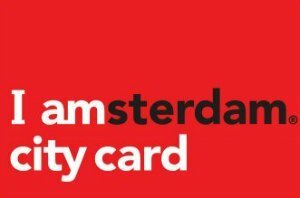 Instantly find where you are in Amsterdam and it also has a useful list of streets, museums, ATM's and more. This city map of Amsterdam is downloadable for Kindle users. The map is very easy to use and is very complete. All streets, points of interest and easy linking to neighborhoods are included in this convenient City Map for your Kindle device. Or what are the Things to Do in Amsterdam? Can I take a Fun Tour? Of course, Of course and Of course.